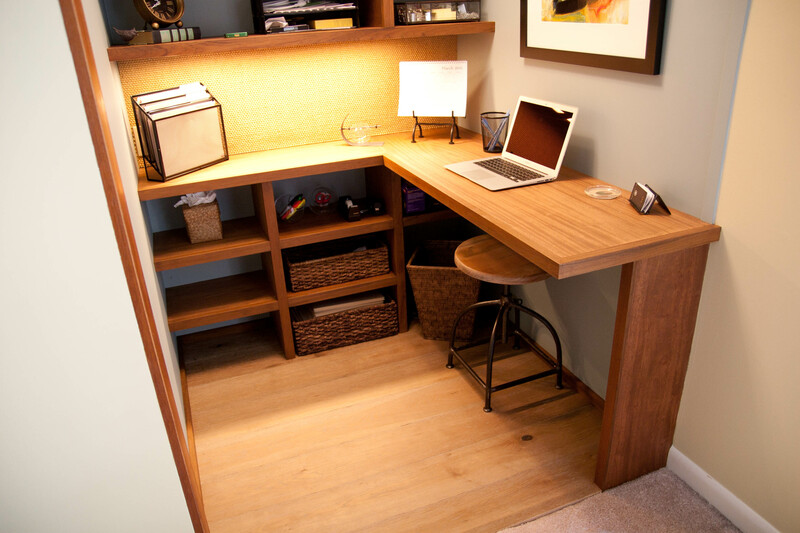 I recently had a client who was in need of a home office workspace. 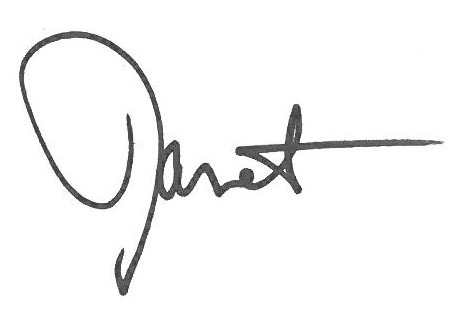 Her initial plan of action was to move to another home, but she really loved her current space and location. 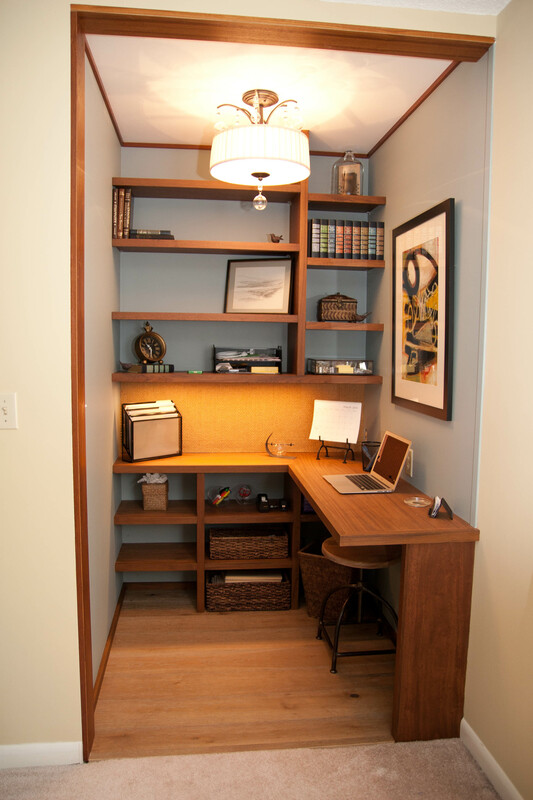 We found a solution to this challenge by turning an underused guest closet into a home office. 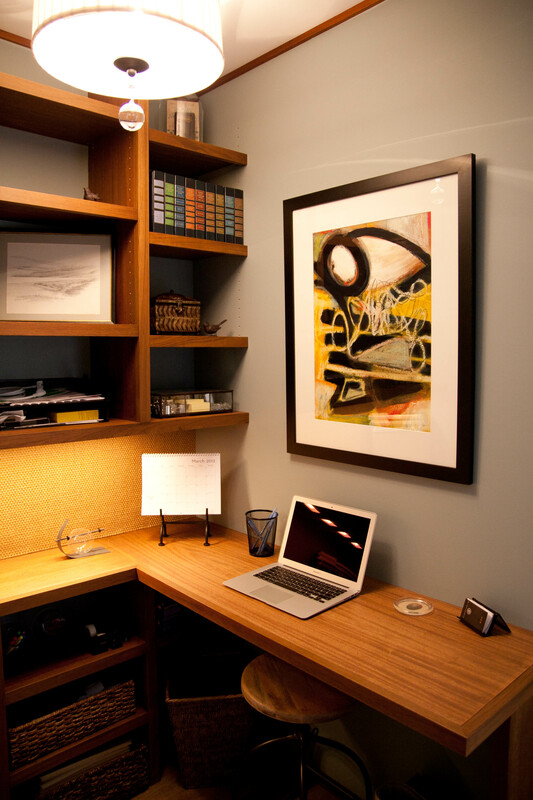 By adding paint, shelving, lighting and storage, we were able to make this space personal and functional. We used lime oak flooring. 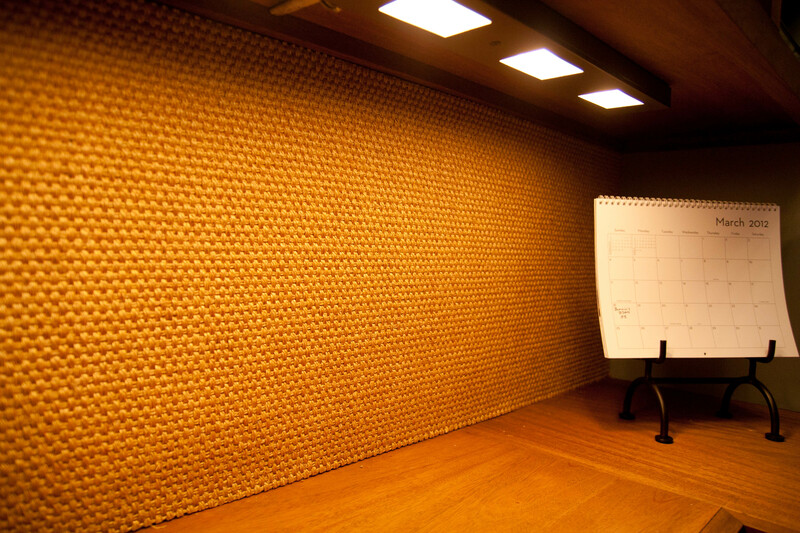 On one wall we used a sisal backsplash for pushpins and notes. 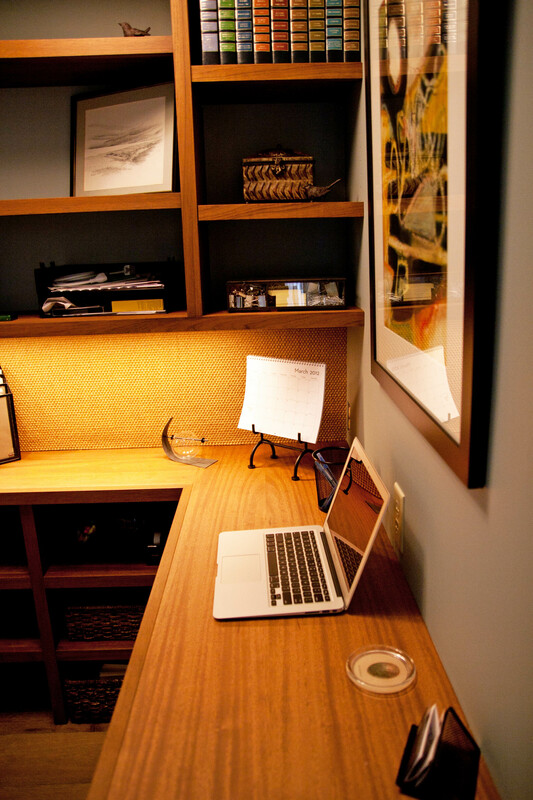 The desk was custom built from remnants of a beautiful teak species of wood in its natural state. 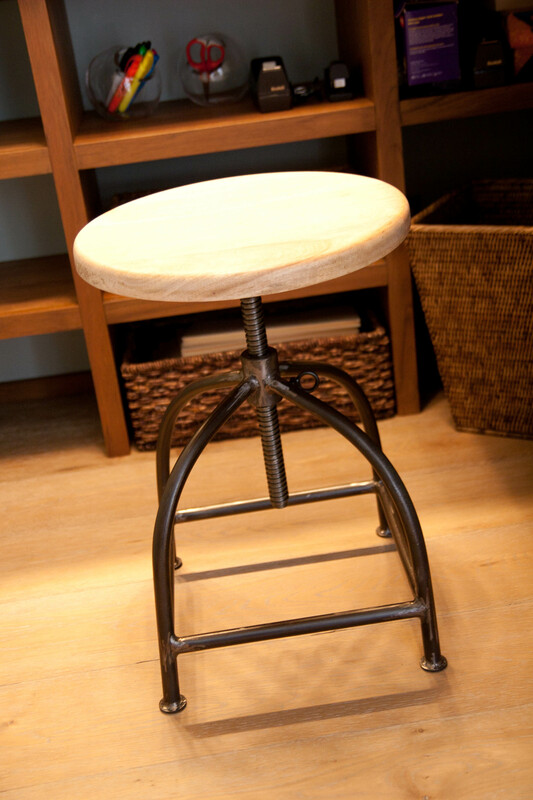 Keeping with the eclectic mix of materials, this individual stool fit the space perfectly and tucks right underneath the desk when not in use. 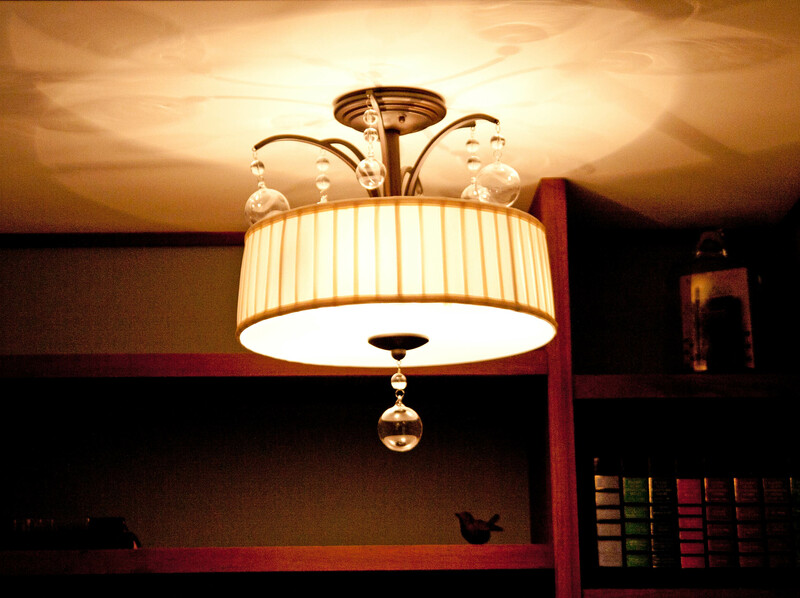 To make the space more feminine, we added a chandelier with bling. 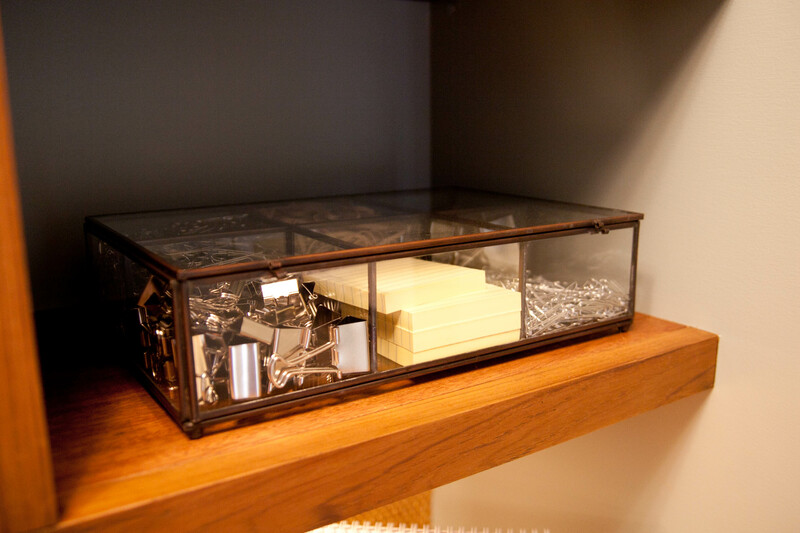 We made sure that everything she would need had a space, and was organized. 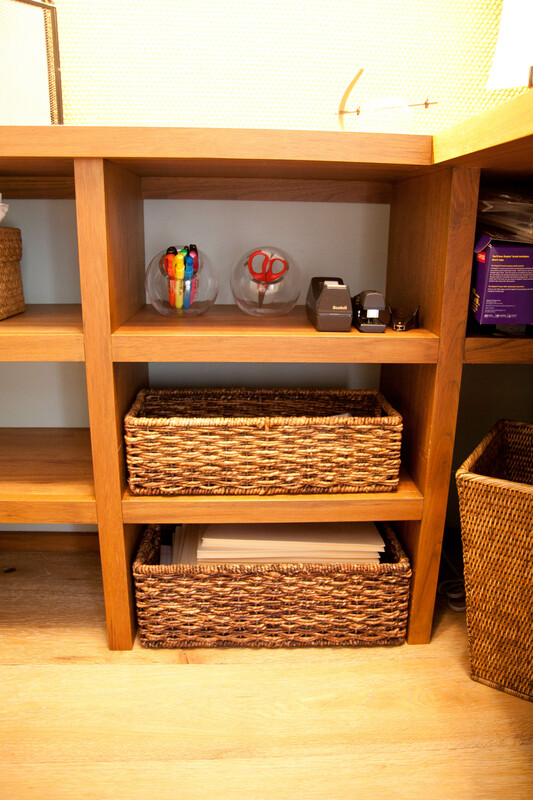 We purchased baskets that fit in the shelving perfectly to maximize storage and eliminate clutter. Under counter task lights were added for times when additional light was needed for reading or writing. 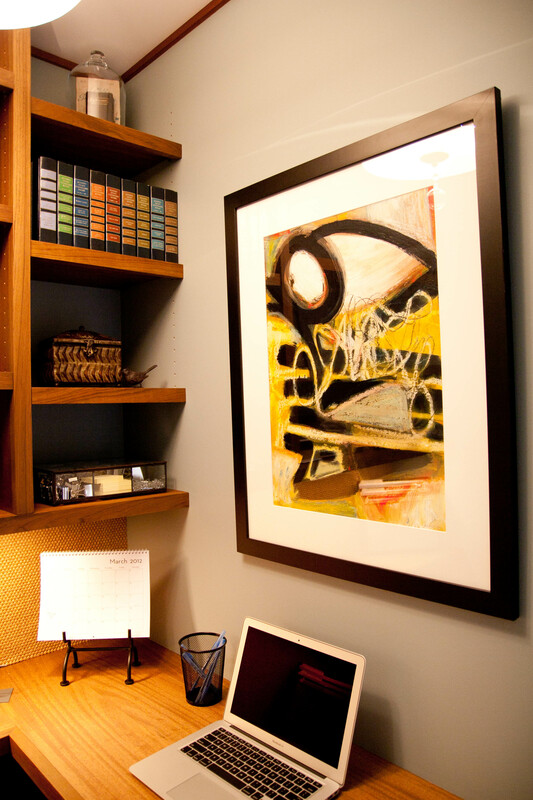 To make the space more personal, the owner selected a favorite piece of artwork from a local gallery. The slate blue wall color was selected to quiet the room and make it an extension of the guest room when the space was being used by visitors. This project was a success because not only was the client thrilled with the results, but we had fun as well!